Betaine HCl is used to help break down food and assist digestion whilst building back up natural production and eliminating causes. Our Betaine Hydrochloride supplement provides pure Betaine HCl within a vegetable cellulose capsule. This enables us to offer a supplement that does not require any unnecessary chemicals, excipients, binders or unnatural fillers. A vegetable cellulose capsule is designed specifically to break down naturally within your stomach, ensuring that the hydrochloride is released during the ideal moment during digestion. 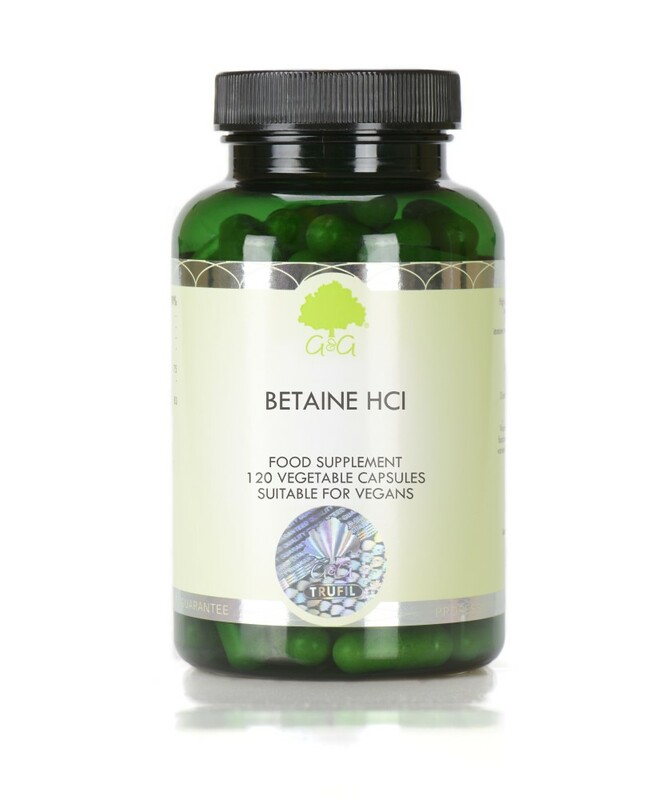 Our Betaine HCl supplement is suitable for vegetarians and vegans. It is also approved kosher and does not contain any allergens. Take 1 to 2 capsules daily at the start of a meal, or as directed by a professional.